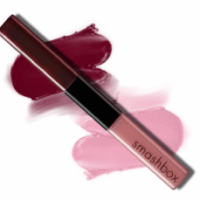 Blush is the makeup product that adds life to your look. Adding a little glow or flush to your cheeks can take you from boring and dull to dynamic and radiant. Rosy cheeks are an essential part of any fresh, dewey look. They also bring warmth and softness to any look. During your search for free samples of blush, here are some pointers to help you choose your best shade. Your first need to identify which types of shades you will need for various seasons and occasions. You should definitely have a blush for daytime looks as well as evening or formal looks. Daytime blushes are usually lighter to complement more casual looks. Evening or special occasion blushes can be darker or a little more dramatic. Fall: The key here is to choose subtle shades. Instead of a bright pink, consider a darker berry or brick-colored shade. 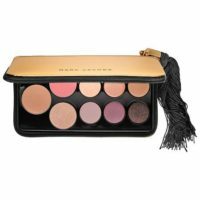 Winter: For holiday months and chilly weather, you can go with deep blush shades, or frosty finishes which are excellent additions to formal or special holiday occasion looks. If you aren’t sure about which darker blush shades will work, a free blush sample can give you a risk free chance to test one out. Spring/Summer: For spring, you can get away with going a little brighter. Breezy pastels are ideal. Brights like corals, hot pinks, oranges and summery golds are perfect as the weather continues to heat up. Frosts still work well for Spring and Summer, but you want to use them to highlight a nice tan, not to look like a Winter ice princess. Of all the various blush formulas, powder blushes tend to be the most popular. They are versatile, easy to apply and widely available. Choosing a good shade is probably easier with a powder blush than with a gel, liquid or cream blush. Powders are easier to blend and easier to control. For instance, with gel blushes, it’s pretty easy to accidentally apply too much. You end up with a much darker look than you wanted. Powder blushes can be layered on and gradually built up making it easier for the wearer to find the right level of color. They also tend to be sheerer than the other blush formulas. This makes them a great option for just about any skin shade, color or tone. In the winter, you can get away with brown, bronze, berry shades. 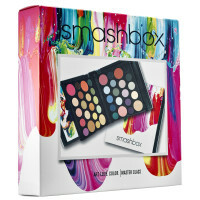 In the spring and summer, you can flaunt pinks, peaches, corals and brighter, sunnier shades. Use colors to compliment the rest of your makeup look. If you’re looking for some new shades to shake up your boring old makeup drawer, try out some of these free blush samples below. Now that you know the basics of which types of shades to look for for given situations, you need to find a color within that range that will compliment your skin tone. Whether your skin is lighter, darker, or somewhere in between, everyone has an undertone that ranges from warm to cool. If you have cooler toned skin, For instance, let’s say you are looking for a Spring blush shade to wear for everyday looks. As mentioned above, you can go quite a bit brighter with your Spring makeup after the muted Fall and Winter colors. So, even though you may be looking for a bright pink blush, there are still warmer bright pinks (think hints of coral and gold within the shade) as well as cooler bright pinks (think fuchsias, purplish pinks and orchid shades). So, even though all of these types of colors fall into the general “bright pink” category, you can still find a shade within that group that will compliment your individual coloring. Another example is the types of shades suggested for fall looks. A berry shade or a brick shade is an ideal option for Fall, but berry shades will work well on cool skin tones and brick shades will mesh well with warmer skin tones. If you’re somewhere in between, choose something in the middle. 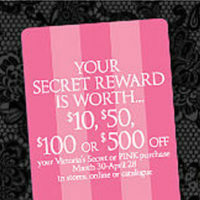 Take these suggestions into consideration as you choose with free blush samples to try. Expired: Too Faced Boss Lady Beauty Agenda Makeup Palette Giveaway! 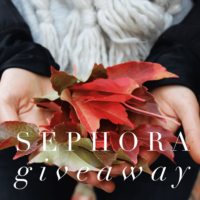 Expired: $200 Sephora Gift Card Giveaway! 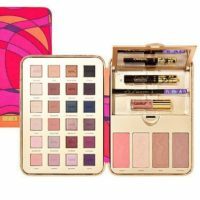 Expired: Tarte Cosmetics Pretty Paintbox Makeup Palette Giveaway! $418 Value! 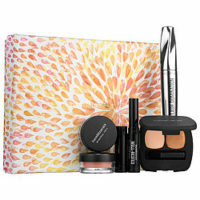 Expired: BareMinerals Beauty Refresh Radiant Essentials Makeup Kit Giveaway!